There's no doubt that the basic black plastic pot is useful. Besides being cheap and durable, if you want to hide a plant amongst existing vegetation, it's easily camoflauged in the shadows. On the other hand, if your pots are on show in a balcony or patio situation, you'll probably want something more attractive. With so many decorative containers widely available, there's sure to be something to match your outdoor theme. Pots can actually be a feature in themselves, with or without plants. Most Garden centres, in addition to hardwares and variety stores, also offer lots of pots for sale. Some Landscape Supply Yards might also have some containers like half-barrels (real or fake) and planter boxes (call ahead to ask). You might have to seek out a dedicated pot shop if you're after the widest selection of decorative or extra-large pots. A specialist supplier may be required for something unusual like pots to fit a theme, unusual materials (metal, glass etc) or planting systems for difficult locations (vertical gardens etc). If you operate a business that specialises in plant containers or accessories for sale to the public in Qld, go to Information for advertisers. Are you a pot plant killer? Getting the watering right is one of the keys to lush, healthy indoor plants. Moisture Matic® pot watering devices were developed to make that easier. Simply insert the probe into the potting mix (Australian Standard recommended) and fill the reservoir with clean tap water. The unique SPONGEWICKTM technology delivers a continual supply of moisture without sogginess. It also reduces nutrient leaching and mess from spillage and overflow. "Self-watering" containers can be expensive, and might not suit your decor. With Moisture Matic®, you can quickly & easily convert plain pots and planters you already own (with rims up to 3cm) into self-watering containers. Moisture Matic® is designed primarily for use with indoor plants, but can be used to provide supplemental watering to potted plants outdoors including vegetables and herbs. Let us help you create a stunning garden or patio with pots, plants and garden decor. 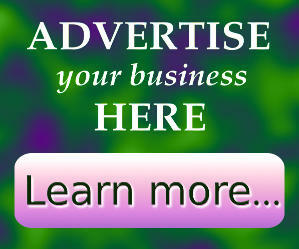 We offer style, quality and visual appeal at affordable prices. Choose from a large range of pots, contemporary to classical. We can advise on the right feature plant to suit your pot and offer a potting-up, delivery and placement service. You'll also find tropical and sub-tropical plants that thrive in Brisbane, all selected to provide high impact and low maintenance. Our range is constantly changing with the best selections available. Our garden design service can achieve the look you want. For suppliers of the larger types of galvanised wire plant shelves and shadehouse benches, try the Shadehouses Page. If you're interested in raised garden beds, try Garden Edging Products. 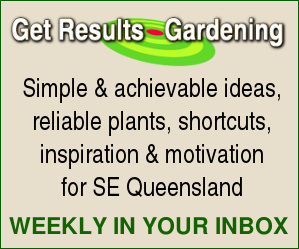 Do you sell planting containers to Qld? This page is intended to let Queensland gardeners know about various plant containers for sale to the public plus where to buy pots (plastic, terracotta, terrazo, ceramic, metal, reconstituted stone, fibreglass, resin, timber etc), hanging baskets, planter boxes, growing bags etc and associated items such as saucers, pot feet, pedestals, hangers and decorative pot holders or stands. Perhaps you offer innovative planting systems? Perhaps your plant containers look like traditional earthenware pots but are made from lightweight synthetic materials more suitable for use on balconies or indoors? How about unusual metallic or stone-effect finishes? If your products are available to Queensland retail consumers, you can find out more about advertising on this page here: Information for advertisers. Different materials and pot designs will have different properties with repect to water retention, overheating and stability, so factors such as overall size and shape (relative to the size of the plant), weight, durability, drainage will also be a consideration in the choice of pots and the way they are used. Keeping the plant in a plastic pot and slipping that inside a more decorative container provides flexibilty, although this usually means wasting a lot of space in the outer pot. However, the air gap will help reduce the amount of heating caused by direct sun hitting the sides of the actual planting container. If you're still worried about overheating of roots, you could pack the gap with mulch or other insulating material. Keeping water up to plants can be a challenge, especially in the hot dry conditions experienced over much of Qld, so look out for pots designed to conserve moisture. Some have a water reservoir with various mechanisms to supply the soil with water while avoiding waterlogging. Simply sitting a pot in a saucer will provide a temporary water reservoir. This may be particularly useful if you have a big thirsty plant of trouble rewetting the mix. Problems may occur with waterlogging (and mosquito breeding) if the gardener is overzealous or if there is prolonged rain, so keep an eye on those pots. Some containers have been developed for specialised garden applications or to suit certain types of plants. Check out orchid nurseries for special orchid containers, bonsai nurseries for bonsai pots and so on. Such places are probably also good for specialised potting mixes and fertilsers. These links are for general information and research - some of the specific details contained on the following pages might not be appropriate for Australian conditions. Would you pay more for sustainable pots?